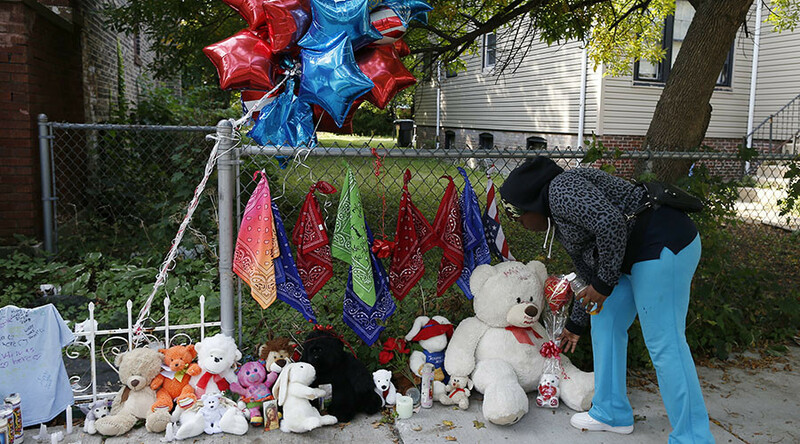 Homicide rates are increasing in the majority of major US cities, but Baltimore, Chicago, Memphis and Milwaukee are struggling with some of the worst violence seen in a quarter-century. Chicago, Baltimore, Memphis and Milwaukee are already seeing a rise in homicide in 2017, compared to the same time last year. While violence keeps climbing, many are desperately searching for a solution to the problem. Chicago’s murder rate returned to 1996 levels when the city was struggling with a drug epidemic and gang wars. The problem is now exacerbated by years of mistrust of police, leading to “the withdrawal of some local communities [from cooperating with police] and police disengagement,” as Richard Rosenfeld, a criminologist at the University of Missouri-St. Louis, told the Wall Street Journal. The Chicago, Baltimore and Milwaukee police departments have been reviewed by the Department of Justice (DOJ) and found to have used racial profiling along with other potentially alienating practices, such as the Chicago Police Department’s use of Homan Square, a black-site where prisoners were hidden from their lawyer. In September, the DOJ announced it was conducting a review of the Memphis PD. But after years of protests against police brutality, many officers have begun to feel demotivated. As a result, murder rates have increased, while the number of arrests has decreased, according to the Wall Street Journal. Police departments around the country are working to repair trust that several high-profile police shootings damaged over the past few years. 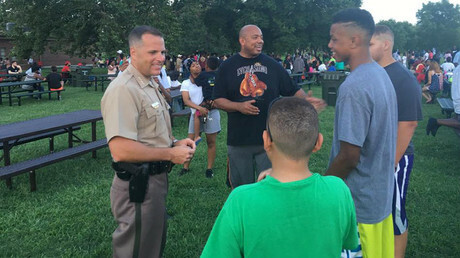 In July, Black Lives Matter protesters ended up sharing a barbecue with Wichita police officers and discussing ways for their communities to work together. Chicago and Baltimore officers have traveled to work with the NYPD, where a greater emphasis has been placed on officers to spend more time in communities by responding to smaller crimes or interacting with the neighborhoods they serve. In Baltimore, Police Commissioner Kevin Davis plans to tackle the alarming violence by targeting repeat offenders. Last week the department agreed to a consent decree with the city government last week that allowed the police department to be monitored by a judge, but made no admission of wrongdoing.